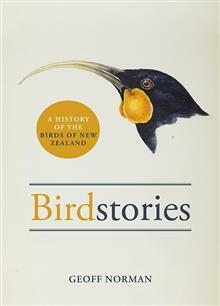 A fascinating, in-depth account of New Zealand's birds, which spans their discovery, their place in both Pakeha and Maori worlds, their survival and conservation, and the illustrations and art they have inspired. Norman covers a range of our bird families and individual species, ... read full description below. GEOFF NORMAN was born in Wellington and has a background in science and environmental studies. He has been involved in publishing for over 30 years, designing, typesetting and producing books. His first book, Buller's Birds of New Zealand: the complete work of J. G. Keulemans, was published by Te Papa Press in 2012. It was the New Zealand Herald's Book of the Year in 2012 and a finalist in the 2013 NZ Post Book Awards, and has been reprinted three times. Geoff enjoys tramping, music, and Latin American and Spanish culture.